On my first pass through the new Stampin’ Up Annual Catalog, this card just jumped out at me. I just love it. It uses the all-new Love You To Pieces Stamp Set and Puzzle Pieces Thinlits. 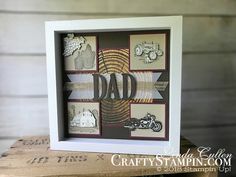 I show how I used the new Big Shot Embossing Mat to emboss the cutting die of the puzzle pieces to give the best impression. 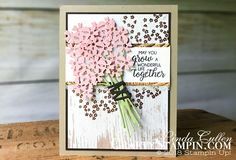 Next Coffee & Crafts Facebook Live will be Thursday, June 14th @ 11 am EDT; but first I’ll be on the Stampin Scoop with Tami White on Tuesday, June 12th @ Noon EDT.